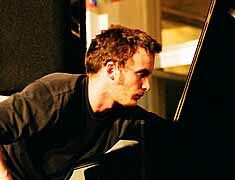 Studied jazz-piano in Vienna and Cologne, where he also lives since 2001. W orked with Frank Gratkowski, Wilbert deJoode, Thomas Lehn, Clayton Thomas, Paul Lytton, and many others. Concerts at the Konzerthaus Wien, Philharmonie Luxenburg, Moersfestival, Ullrichsberger Kaleidophon, GetItLouder Festival Shanghai/Beijing…..